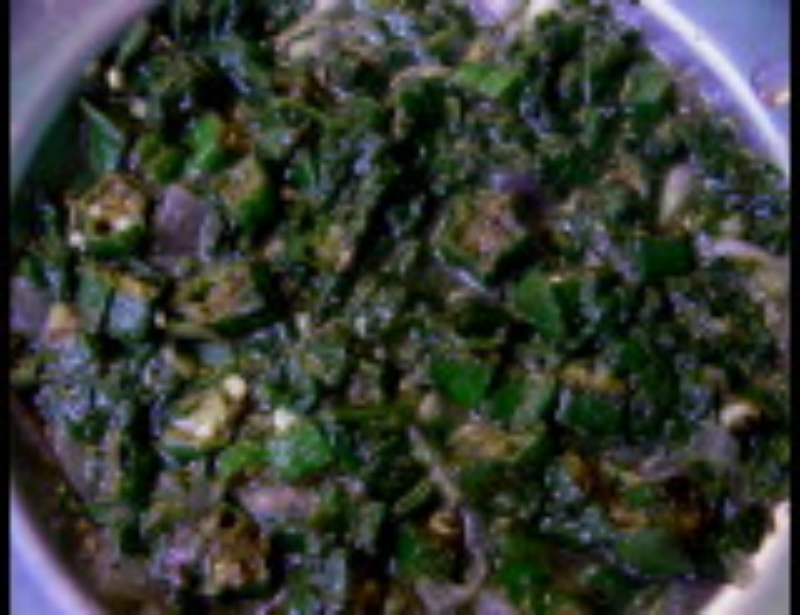 very tasty combination of palak and okra. goes very well with chapathi,idli and rice.needs 10 mins cooking time. Heat oil and ghee in a kadai,add cumin and mustard seeds, then chopped garlic clove and curry leaves.saute for a min. Add chopped palak, turmeric powder,chilli powder and little salt.saute for 2 mins. Add the chopped okra ,green chillies,salt and add 1/2 cup water.let it cook for 3 more mins. Add tomato -chilli sauce and mix it well for amin. turn off the flame and sprinkle lemon juice over it. Mix well before serving Garnish with coriander leaves.